Happy #TeacherTuesday to all our inclusive educator friends! Hope your new school year’s getting off to a wonderful start–all of us at the Brookes Inclusion Lab wish you and your new students the very best. If you have any questions we can help you with or topics you’d like to see covered in a blog post, please don’t hesitate to let us know (you can email me directly at jlillis AT brookespublishing DOT com). If you’re already keeping up with all the top organizations and networking regularly with thinkers, doers, and go-getters, you’re awesome (and can you share your secret?). If you’d love to get started but you’re not sure how or where, start with Loui’s list of her favorite organizations and social media accounts to follow. Here’s her “starter kit” of resources to check out. You’ll find this list especially useful if you’re looking to learn more about UDL and how to make it work in your school! Practical, frequently updated blog by Matt Bergman, an educator and speaker with extensive educational technology experience. 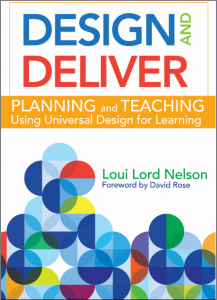 The blog of PLN4UDL, which stands for Professional Learning Network for Universal Design for Learning. The goals of PLN4UDL are raising awareness of UDL, exploring theory and practice, building and sharing resources, working on teaching practice and craft. UDL-focused blog by Katie Novak, Assistant Superintendent of the Groton-Dunstable Regional School District. A veteran teacher, Katie has a doctorate in curriculum and teaching and presents workshops focusing on teacher implementation of UDL and the Common Core. CAST is an educational research & development organization that works to expand learning opportunities for all through UDL. Site features learning tools, videos, professional development, and more. The National UDL Center supports effective implementation of UDL by providing resources and information, including research evidence, multimedia presentations, video series, articles, and featured books. The website of the National Center on Accessible Instructional Materials is a great resource for educators, parents, and others interested in making materials accessible to all students. Includes decision-making tools, quick- guides, videos, and other resources explaining the who, what, why, and how of AIM. @CAST_UDL Follow for: UDL quotes and news items, key takeaways and images from professional development opportunities like the #UDL2015 symposium and #BCSUDL. 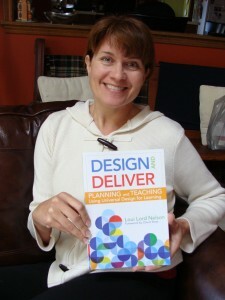 @UDL_Center Follow for: UDL tips, blog post recommendations, tips and photos from UDL seminars, images of UDL in practice in the real world. @AEM_Center Follow for: The very latest news items, webinars, and online resources on accessible instructional materials. @socrative Follow for: Testimonials and photos that show how real teachers are using Socrative, a classroom tool for visualizing and measuring student understanding in real time. @behaviordoctor Follow for: Practical tips and guidance on managing and improving behavior in inclusive schools. @understoodorg Follow for: Bright ideas and simple strategies on supporting children with learning and attention issues and helping them succeed in school. Understood also holds a regular #LDchat–check the hashtag to see when the next one is. Got an online resource to add to this list? Who are your favorite “thinkers and doers” to follow on social media? Add a suggestion in the comments below! Click here to read the full Classroom Hindsight ebooklet–valuable inclusive education tips from 18 other educators. 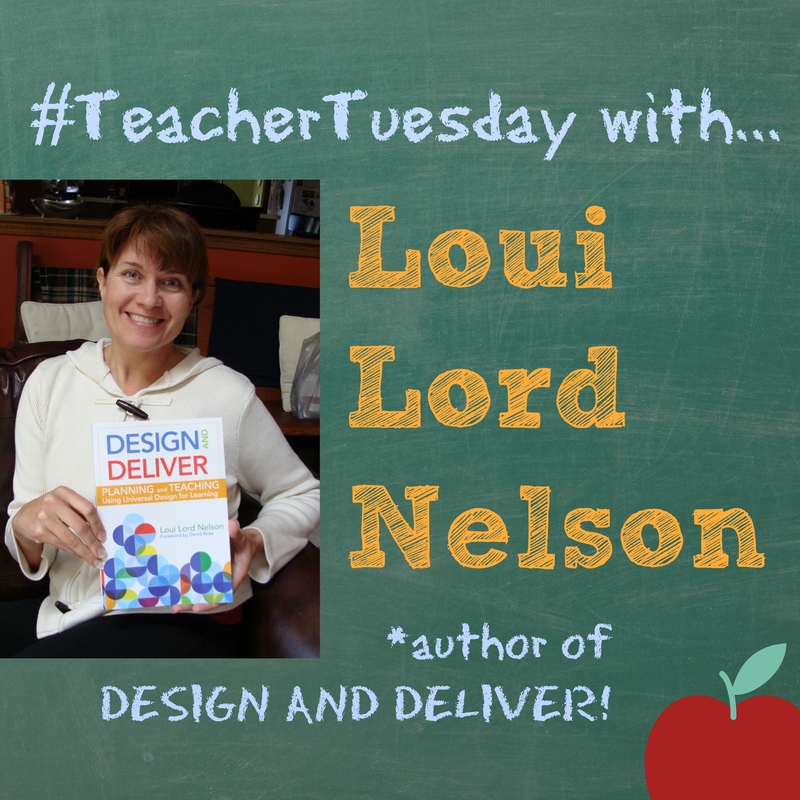 Listen to Loui’s podcast with one of our favorite “thinkers and doers,” Nicole Eredics of The Inclusive Class! Absolutely loved your post. It sure is nice how Brooks Publishing Co. has set this blog up. They are doing a lot of supportive things for education. Keep up the posts, and I’ll keep reading them. Ron, thank you! We’re so glad you’re finding the blog helpful–if there are any topics you’d like to see us cover in the future, please feel free to send a suggestion. Many thanks for all your support on Twitter!